Great businesses are built by great leaders. We help rising leaders build the skills they need to succeed - in every sense of the word. Our clients make drastic improvements in the way they communicate and execute with their teams, transform the way they present to large groups, transition smoothly from being a contributor to a manager, ably navigate role and career transitions, and see marked productivity increases in both their professional and personal lives. One-on-one leadership coaching is at the heart of what we do. We help our clients grow their leadership capacity by pushing them on their goals, providing accountability, and offering helpful techniques and tools along the way. Our one-on-one coaching results in leaders who are more self-aware, productive, and interpersonally skilled. With engagements ranging from helping co-founders overcome early obstacles, to working with larger teams to develop new skills and norms of productive interaction, we have a deep-rooted philosophy to team development that emphasizes experiential learning and sustained support and coaching that delivers lasting results. 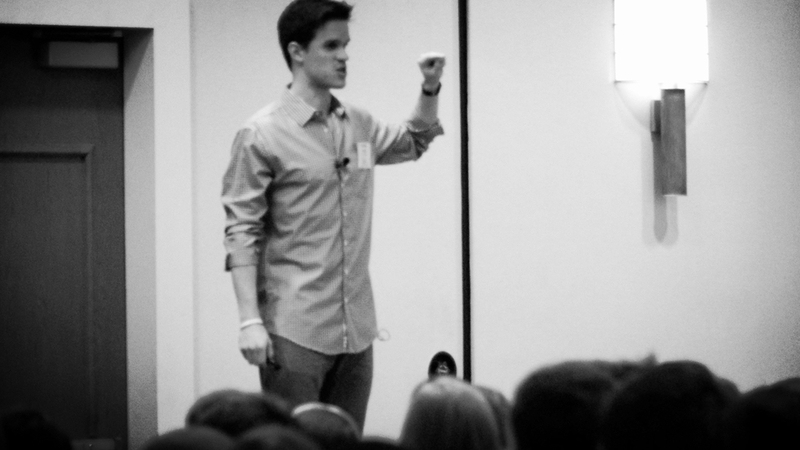 Michael Terrell has been leading group workshops and giving speeches about intentional leadership for nearly 10 years. He brings a spritz of humor, contagious energy, and a bevy of actionable-now insights into every talk. Favorite topics include: Getting the Most out of Your Millennial Team and Developing Authentic Leadership.